The 115th Congress was sworn in today on Capitol Hill, with Congressman Hal Rogers taking the oath of office for a 19th term serving the people of southern and eastern Kentucky. "As we begin a new Congress, I am excited for new opportunities on the horizon for the people of southern and eastern Kentucky, and nationwide. Its time to rein in job-killing regulations, make healthcare affordable and effective, turn the tide on the nation's deadly drug abuse epidemic, improve support for our active military troops and veterans, and secure a better future for our children and grandchildren. I look forward to working with my new colleagues and President-elect Donald Trump." The new Republican-led Congress will have a 241-194 majority in the House and a 52-48 majority in the Senate. Beginning his 37th year, Rogers is Kentucky's longest serving Republican elected to federal office. 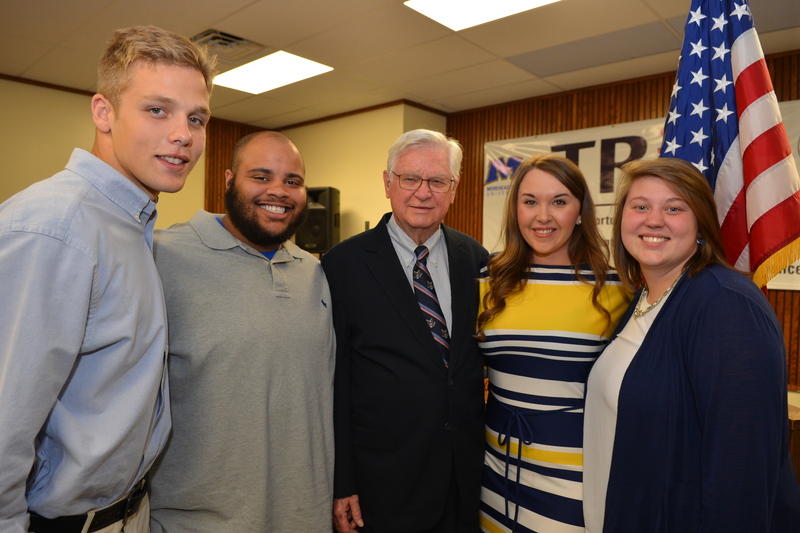 To learn more about Congressman Rogers, visit halrogers.house.gov and sign up for his e-newsletter.